The Senate is expected to vote Wednesday on whether to repeal auto lending regulations aimed at ensuring that minority car buyers aren't charged higher interest rates. "Republicans are chopping away at the tangled mess of regulations that the last administration left behind," Republican Senate Majority Leader Mitch McConnell said on Tuesday. McConnell said that overturning the rule would "protect consumers" and halt a "brazen attempt" by the CFPB to "interfere in the auto industry." He noted that Dodd-Frank, the post-financial crisis law that created the CFPB, prohibited the consumer watchdog agency from regulating auto dealers. Minority customers paid an additional $200 to $300 each over the life of the car loan, regulators said. Ally Financial, which paid $98 million to settle the case, said it doesn't believe its dealer network was deliberately discriminating. "Auto dealers are actively discriminating against people of color," Karl Frisch, executive director of progressive consumer group Allied Progress, said in a statement. "Unfortunately, the auto industry is in the driver's seat in the Senate and people of color are the ones being taken for a ride," Frisch said. Auto dealers have great sway in Congress. Republican Senator Jerry Moran of Kansas, who introduced the repeal resolution, has received more than $225,000 in campaign contributions from the auto industry during his career in Congress, according to OpenSecrets.org. Moran's office declined to comment. The controversy began in 2013. Instead of proposing a formal rule, the CFPB issued "guidance" warning auto lenders to adhere to fair-lending laws that prohibit discrimination on the basis of race, color, religion, gender, age and other classes. The CFPB threatened to use "all appropriate regulatory tools" to ensure that auto lending is fair. An editorial in The Wall Street Journal this month slammed the auto lending regulation as "one of Obama's worst rules" and applauded GOP efforts to repeal it. "Relief may finally be on the way," the paper said. The National Consumer Law Center found "widespread racial disparities, unrelated to credit risks" in the pricing of car loans between the late 1990s and the early 2000s nationwide. The nonprofit consumer group said significant racial disparities were found in "every state with sufficient data and in every region of the country." In some states, black borrowers were charged 300% more for car loans than white borrowers. "Let's be clear. 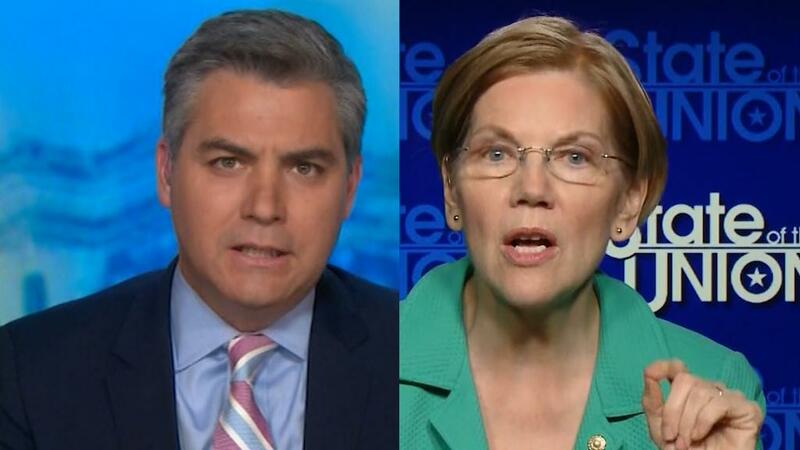 Discrimination in auto lending is alive and well," Democratic Senator Elizabeth Warren said on Tuesday from the Senate floor. She called a vote in favor of the resolution a "vote to support the Trump administration's systematic dismantling of fair lending laws in this country." The Consumer Federation of America, a nonprofit group, warned that repealing the auto lending guidance "would grant car dealers free rein to discriminate against minority borrowers." — CNN's Donna Borak and Ted Barrett contributed to this report.